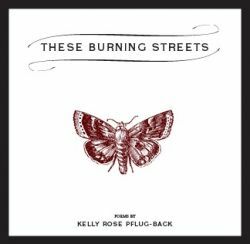 Recently released from prison, award winning poet Kelly Pflug-Back will be in Victoria to launch her wonderful book of poetry These Burning Streets (Combustion Books) and to talk about her recent first hand experiences in prison. The name of this collection of poetry is no mere hyperbole. When the G-20 met in Toronto, Canada in 2010 behind armed thugs and fortress walls to discuss the fate of the world, Kelly Pflug-Back was among those who took to the streets to counter it with the militancy that the situation demanded. The cops dragged her off and tormented her in jail for a month while the government attempted to frame her as the leader of the infamously leaderless Black Bloc. Many of her charges were dropped, but she pleaded guilty to the destruction of several police cars and corporate storefronts and awaits sentencing. She was sentenced to fifteen months behind bars for daring to be free, for writing her poetry with action and words alike. Every dollar received by the publisher from the sale of this volume will go to aid her in her struggle against the state.